Here’s another fun and easy Valentine made with My Digital Studio. If you’ve been following along, this is the third choice for my “Mommy and Me” class on Sunday, and it’s perfect for four and five year olds. 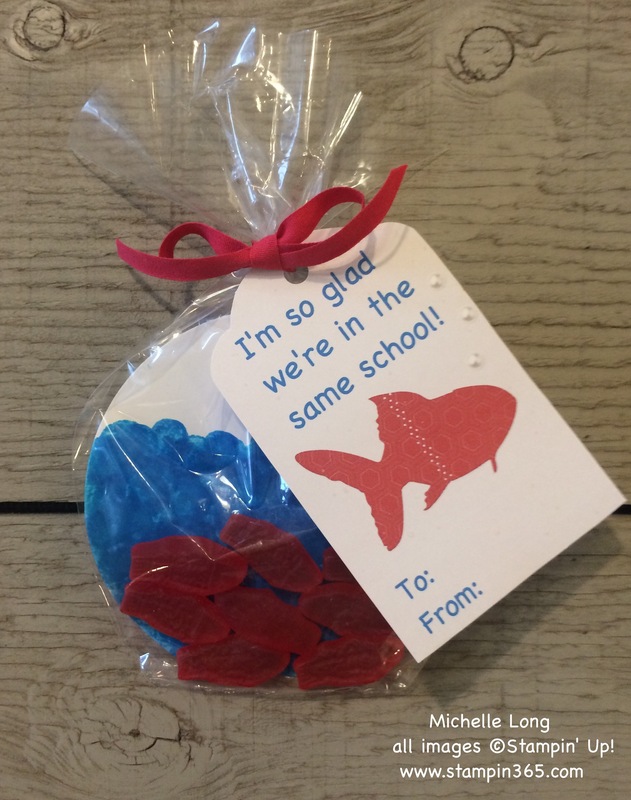 The treat sack has a circle of white cardstock painted with a blue “Dab Paint Marker.” These markers usually come in a pack of four colors and are available in toy stores and most craft stores. After the paint was thoroughly dry, I slipped it into the circular treat sack and added Swedish Fish. The tag was made with My Digital Studio and I didn’t have to buy any extra digital files because it came with everything shown here. I simply chose the tag I wanted, added the fish, a text box and some bubbles and I was done! 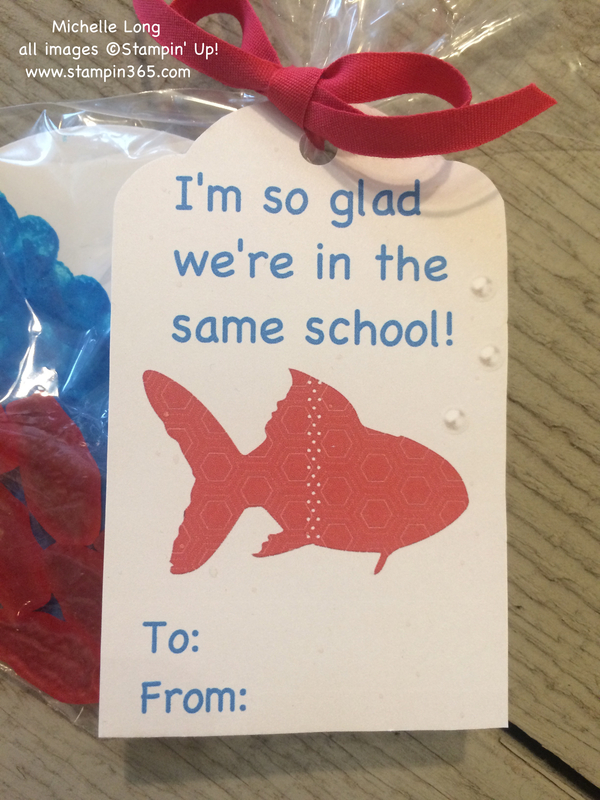 I tied it to the treat sack with some real red ribbon for an adorable little class Valentine. You can try out My Digital Studio for free and see for yourself how fun and easy it is to use. Just click on any image below to find out more. That’s it for my “Mommy and Me” Valentines. Now I’m off to get ready for the class this Sunday; I can’t wait! This is really cute. 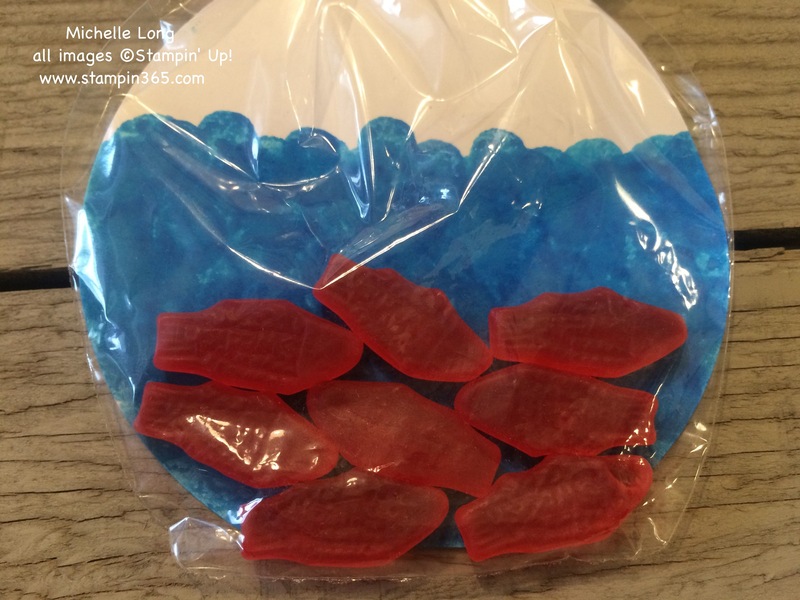 My grandsons favorite candy are those little red fishies. They really are yummy! The bad news is they came in a huge bag, so I have leftovers and I keep eating them.